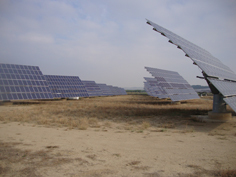 An 860kW solar park is built in Navarra with Zytech solar module. The installation was completed using dual-axis trackers and top-brand materials. 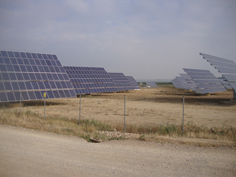 An 860kW photovoltaic park with Zytech solar modules has recently begun production in Rada (Navarra, Spain). The park has been installed by Arnesol over six months, using materials from top suppliers. The grid-connected installation uses 3,660 Zytech Solar ZT235P polycrystalline silicon modules mounted on dual-axis trackers – no shadow – and in accordance with the Community’s environmental impact standard. This new solar park enables the generation of 1192820 kWh per year of clean energy – equivalent to the annual consumption of some 300 homes -, avoiding the emission of 600 tons of CO2 into the atmosphere every year. This solar park has been promoted for sale to small and medium investors through participations and its construction has generated jobs for some 20 people. This park is one of several installations in Spain employing Zytech modules, which are enjoying widespread acceptance for their quality-price ratio, certifications and great resilience and durability.